It’s painfully clear that we have a plastic problem—over 8 million tons end up in the ocean every year, according to the Plastic Oceans Foundation. Recently, several brands have stepped up to address and cut down on their plastic use, from Starbucks testing compostable cups to Trader Joe’s working to use less plastic packaging in the produce section. The latest effort comes from Aldi, who announced Wednesday a series of goals to “help combat the global plastic crisis,” according to a statement—and half of them are slated for completion by 2020. "Aldi has never offered single-use plastic shopping bags. And while we're pleased that we've helped keep billions of plastic grocery bags out of landfills and oceans, we want to continue to do more," Jason Hart, CEO of Aldi U.S., said in a statement. "The commitments we're making to reduce plastic packaging waste are an investment in our collective future that we are proud to make." Two of the bigger benchmarks the supermarket has its eye on are making sure that 100 percent of Aldi packaging (including plastic packaging) is “reusable, recyclable, or compostable packaging,” and reducing packaging material of all Aldi-exclusive products by "at least 15 percent"—both goals have a deadline of 2025. 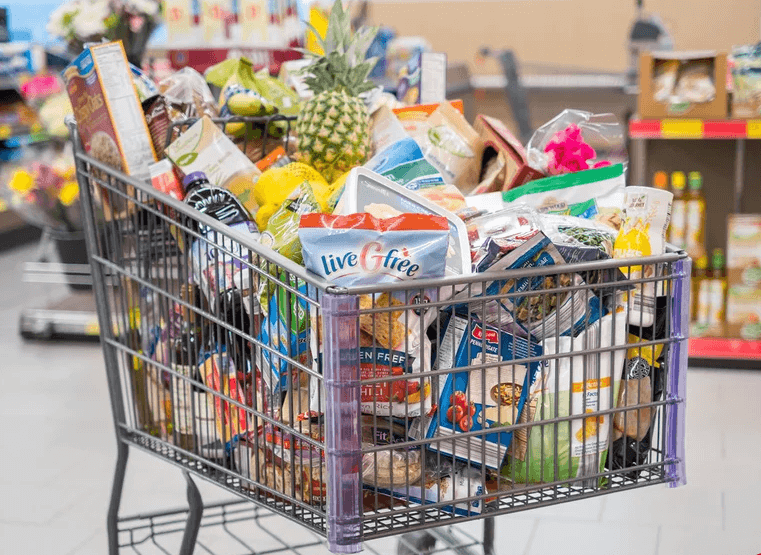 The brand also wants 100 percent of Aldi-exclusive consumable packaging to include a How2Recycle label by 2020, as well as make private-label product packaging easier for people to reuse. And, considering Aldi recycled more than 250,000 tons of materials in 2018 alone, it sounds like it’s off to a pretty good start. In other plastic news, Florida proposed a 20-cent deposit on bottles and cans earlier this month, in order to encourage more people to recycle; back in January, New York Governor Andrew Cuomo proposed to ban single-use plastics in the state of New York, which you can read more about here.